Alex Jones has used his very powerful and prominent Infowars platform to warn the patriots about many New World Order schemes over the years. If there’s one false flag operation the globalists are really peeved about, it’s the fake Sandy Hook mass shooting of school children (that never even happened). When Alex Jones blew the whistle on the Sandy Hook hoax, that was the beginning of his trials and tribulations. But why? Why was Sandy Hook such a protected sacred cow to the New World Order agenda? Because the globalist cabal used that fake tragedy in unprecedented and urgent ways. This is why Jones has been so persecuted by the Mainstream Media (MSM). He completely destroyed their narrative…and once that occurred the MSM worked triple time to maintain the utterly contrived story. In fact, Jones’ was so politically incorrect regarding his truthful response to the staged Sandy Hook massacre that he made all the major MSM news organizations look bad…real bad! Of course, this is Jones’ forté: speaking the truth about the most highly consequential NWO plots of the day — scream them if he must — and then wait for the MSM blowback which only gets fiercer by the month where it concerns Sandy Hook. This is the story of Alex’s life. He puts out the most radioactive truths like he courageously did about Sandy Hook, and then gets lambasted by the CIA’s Mockingbird Media. Perhaps the U.S. Intel Community permits him to do this in order to send a message to every other Alt Media website that such truth-telling will NOT be tolerated. And, that the bigger and higher the platform, the harsher the response will be… especially from the numerous agents of Deep State scattered throughout the MSM. KEY POINT: The major MSM organs of propaganda never released a single piece of hard evidence that proved the Sandy Hook massacre took place as reported. Law enforcement had plenty of opportunities to provide the abundance of proof showing that the official narrative was true. Instead, the authorities chose to withhold all kinds of evidence without explanation, as they always do. And the corporate media parroted their every word without question or verification. It’s of paramount importance to understand that the MSM played a major role in both the execution and cover-up of the Sandy Hook psyop. At every point of the black operation it was quite clear that the largest news outlets followed a specific predetermined narrative. In so doing, they set the pace for all the other smaller news corporations to follow, as they always do. Because of the MSM’s complete failure to conduct even an iota of real investigative journalism, they revealed their hidden agenda from the very start. When even basic questions were not answered about such a ‘heinous crime’, it became evident to many that the official narrative would not be challenged. And when Infowars did, all hell broke loose all around them. However, the ongoing globalist attacks have occurred with a ferocity that even Alex Jones had never experienced before. Just why is that? Because the MSM was threatened as never before by such profound and serious disclosures. If We the People really began to catch onto the fact that all of these mass shootings and bombings are meticulously staged, then a sleeping giant would be awakened. Therefore, Infowars had to be discredited and deplatformed in every way possible. This is exactly why so many initiatives were recently coordinated to substantially diminish the presence of Alex Jones and Infowars.com across the Internet. Simply put, the MSM will not tolerate any factual accounts about Sandy Hook from the Alt Media. Each attempt to reveal the facts will be met with severe repercussions as Jones’ has experienced. And Big Social Media (BSM) are only getting started with him. When they are through with shrinking the Infowars profile on the Internet, it will be a shadow of its former self…unless the people demand an appropriate response from the Trump administration. This ever-intensifying war between Infowars and Mainstream Media is really a war on all of us—on both the Right and the Left. Even many Alt Left sites are currently being delisted by Facebook, Twitter and other BSM. There’s no question that the globalists drew the line in the sand where it concerned all things Sandy Hook. They felt compelled to protect their false narrative no matter what the costs. As a result, Jones had to be marginalized like no other alternative journalist in U.S. history. Were the Sandy Hook conspiracy to be laid bare, all other Gladio-style false flag hoaxes would likewise come under unparalleled and intense scrutiny. Special Note: Very few have made the connection between the transparent Sandy Hook false flag hoax and the significant date of December 21, 2012. This particular day represented the end of the Mayan Long Count Calendar in the minds of many around the world. It held out great hope and much promise for millions of believers. Instead, the globalists carried out the Sandy Hook attack which effectively hijacked the long anticipated end of the Mayan calendar. 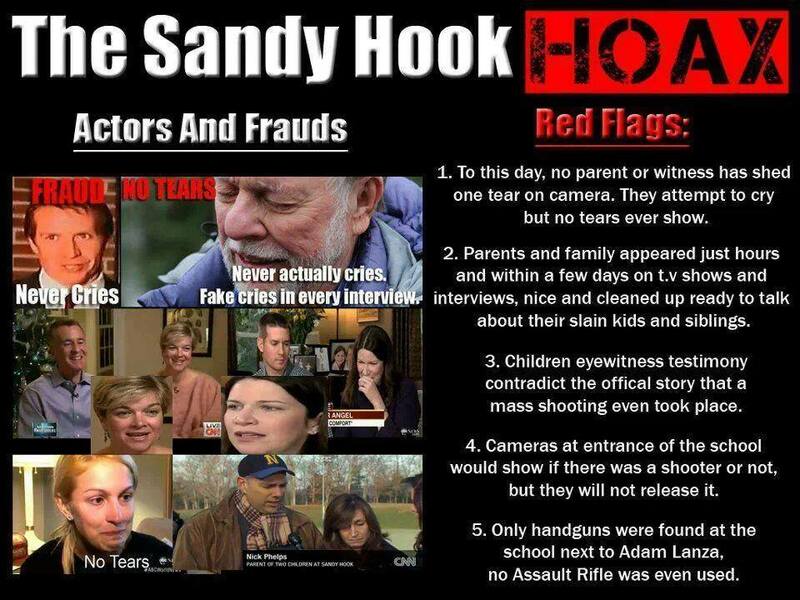 See: Why Was The Obvious Sandy Hook Hoax Really Staged! What really happened here is that the NWO globalist cabal was somehow tricked into providing the Internet space to every person who could connect digitally. Once that happened, Pandora’s box was essentially opened. And there’s absolutely no way to put the genie of revelation back into the bottle. By aggressively going after Jones, however, it does appears that Big Brother will try whatever it can to intimidate the larger Alt Media platforms. 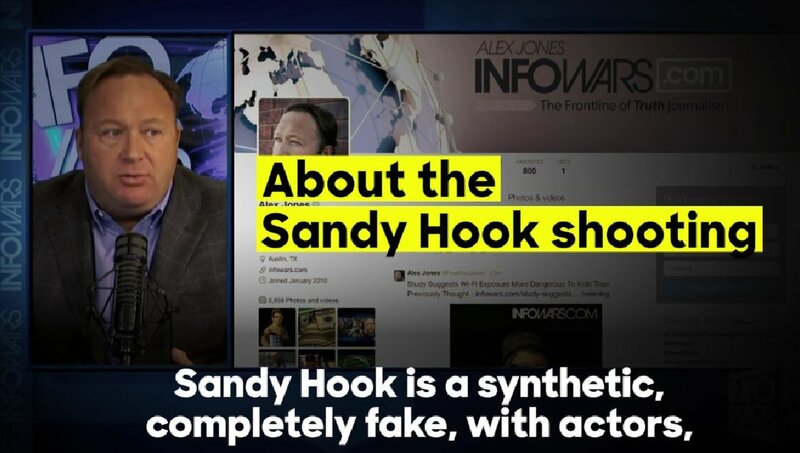 What has come into stark relief in the persecution of Jones is the integral role of the Mainstream Media in sustaining the Sandy Hook hoax. The talking heads have gone practically apoplectic in their vitriolic criticism of the Internet’s top conspiracy realist. Jones’ audience has gotten so big that the corporate MSM execs are crying daily to Big Social Media. Now that all the big players involved are on the same page, they will lower the boom until sufficient damage is done to every Alt Media platform with considerable influence. The MSM has played the vital part in this massive conspiracy to deceive the American people, just like they did with their deliberate cover-up of the 9/11 inside job. The level of willful neglect surrounding Sandy Hook and their deliberate misrepresentation of that fateful event has set the standard nationwide for every news outlet to just follow suit. As the gatekeepers for the western MSM, all the big channels such as CNN, MSNBC, CBS, as well as The New York Times, The Washington Post and Los Angeles Times, have been given strict orders by their overlords at the C.I.A. to show Alex Jones and Infowars no mercy. The real BIG picture here, of course, relates to the age-old maxim: “whoever controls the media, controls the world”. For this reason alone, the globalists know they cannot relinquish one iota of control or influence. Nevertheless, with the Sandy Hook fiasco come and gone, that genie is so far gone into the cyber-space that the controllers would have to shut down the Internet to exert sufficient damage control. 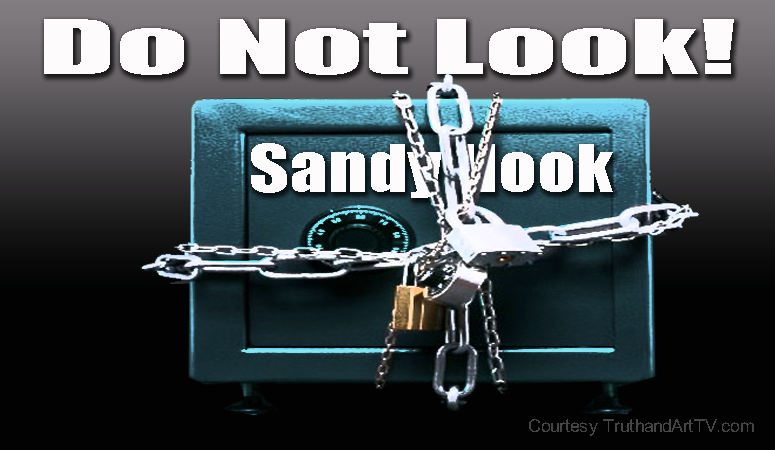 KEY POINTS: The fake Sandy Hook Elementary School massacre was not only instrumental in legislating draconian gun control laws in the state of Connecticut, it was also used to send a chilling message to every corporate officer and board member in the nation. Newtown is located in Fairfield County, Connecticut, home to many Fortune 500 corporate and regional headquarters. This county also sits on the New York state line, just northeast of New York City, so the intended audience was also the Big Apple business crowd as well as all of Corporate America. Message of December 2012: No one strays from the NWO reservation; your children attend OUR schools in every county and are a mass shooting away from harm’s way. There is no question that the single greatest obstacle to the implementation of the New World Order agenda is an armed citizenry. This is where Alex Jones posed a major impediment for the globalists. Because he was so on top of the real reason behind the Sandy Hook plot — to take away our guns — Deep State knew he had to be taken down. When Jones then outed David Hogg as the recognizable crisis actor that he was, Big Social Media went crazy on him. Infowars also did a great job unraveling all the conspicuous fraud that went into fabricating the Parkland, Florida mass shooting. Both Sandy Hook and Stoneman Douglas were key false flags in the Deep State conspiracy to stealthily remove the right to bear arms. Clearly, the annulment of the Second Amendment is top on the list of things to do before a One World Government can be established. After all, given the degree to which Americans are armed and ammoed up, what type of enforcement would the United Nations police force be able to conduct in the 50 states. Jones & Company has railed nonstop on this planned usurpation of American sovereignty like no other alternative website. At the end of the day, Infowars.com became a massive magnet for patriots and nationalists, conservatives and Christians, Libertarians and Tea Partiers, Independents and real Republicans, etc. Because of its HUGE drawing power, the Left-dominated MSM acted to destroy the competition. The presstitutes that populate every Mockingbird Media platform simply cannot tolerate the light of truth shining in their darkness of falsehood. Where those presstitutes really failed was in their investigation of Sandy Hook. Not only did they neglect to conduct any meaningful research into the event, they all basically took dictation from law enforcement without asking a single question. In so doing, the media gave a pass to what was really a FEMA drill dressed up as a staged false flag mass shooting. And Infowars featured many investigators and researchers who proved conclusively that it was a total hoax… … …conducted to take away our firearms. Alex Jones and Infowars posed the single greatest threat to the monopoly of media that was fastidiously put into place by the C.I.A. The Company, as the C.I.A. is known within intelligence circles, does not like competition of any sort for its Mockingbird Media; hence, the takedown of Alex Jones has begun in earnest. The Sandy Hook hoax represented Jones’ greatest vulnerability. When he started dropping truth bombs such as “Nobody died at Sandy Hook!”, the hot phase of the info war really began. Deep State knows full well that Sandy Hook truth is as ultra-classified as it gets. They know that, were the populace to understand that virtually every false flag attack is similarly staged, their most powerful weapon would be neutralized. They could not let that happen. This is also why Deep State forced Jones’ to recant the Pizzagate story. They left him no choice so critical is the ongoing Pedogate conspiracy to their control of political leaders and government officials alike. Just like Sandy Hook, Pedogate remains their Achilles’ heel. If not Alex Jones, another high profile truth speaker will eventually expose it in a manner that the body politic will get the message loud and clear. Bottom Line: Sandy Hook really is where TPTB drew the line in the sand. Once Alex Jones and Infowars crossed it, they became a target for every mainstream organization in the country. However, this extreme reaction alone from Deep State has exposed their agents and operatives throughout American society. The MSM has especially been revealed as the deceptive and duplicitous traitors to the Republic that they truly are. In point of fact, half the people now understand that truly THE MAINSTREAM MEDIA IS THE ENEMY OF THE PEOPLE! Michael Thomas is the Editor of State of the Nation, an alternative news and commentary website. He has a deep and long professional background in financial and economic analysis. As an investigative journalist, he has specialized in assessing geopolitical risks and monetary policy worldwide. Michael’s current area of specialty is American politics, as well as The Great Game being currently played on the global geopolitical chessboard. He is also a conspiracy realist who has dissected many of the false flag operations that have plagued the USA since the 9/11 terrorist attacks. His first major conspiracy exposé took the form of a citizen’s indictment of the U.S. Federal Government which he started writing the week of September 11, 2001. Michael is also an environmental activist and health advocate who worked on both the BP Gulf oil spill and Fukushima nuclear disaster. As the editor of the “Fukushima Five”, he contributed the final chapter to the highly authoritative book “Fukushima: Dispossession or Denuclearization?”.